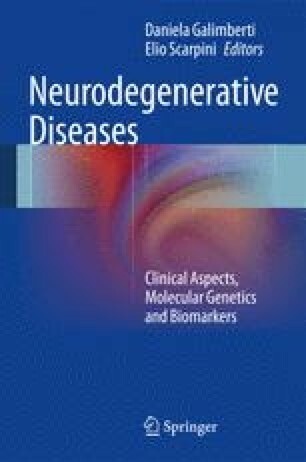 The rare and familial early-onset alzheimer’s disease (EOAD) is linked to fully penetrant mutational genes, whereas the commonest nonfamilial and late-onset alzheimer’s disease (LOAD) is the result of multiple susceptibility genes, each one contributing a small amount to the total risk. Smaller-scale genetic association studies identified the e4 allele of the apolipoprotein E (APOE) gene as the best established LOAD risk factor, increasing risk by approximately 4 or 15 times for one or two e4 alleles, respectively. Hundreds of other candidate genes have been tested for association with LOAD, and meta-analyses of conflicting results were collected in the AlzGene database. Instead of studying only a few genetic variants in small sample sizes, larger-scale genetic association studies (genome-wide association study or GWAS) make it possible to evaluate essentially all genes and intergenic regions, in large international consortia with sufficient number of cases and controls. The four largest LOAD GWAS consortia joined forces forming a mega-consortium known as the International Genomics of Alzheimer’s Project (IGAP) and conducted a mega-meta-analysis of 25,500 LOAD cases and 48,500 unaffected controls. In addition to APOE e4 allele, IGAP identified 19 susceptibility loci, but the effects of all these genes on LOAD risk are exceedingly small, increasing or decreasing the risk by approximately 1.30 times, at most. It is critical to investigate the functional basis for these LOAD-associated GWAS loci and their influence on gene expression (mRNA profiling). Examining the influences of these loci on endophenotypes (cerebrospinal fluid biomarkers and neuroimaging and cognitive measures) can help to predict age at onset and rate of preclinical and clinical progression of LOAD. The proportion of heritability of LOAD unexplained by GWAS findings could be due to rare variants that may be identified by whole exome and whole genome sequencing. In addition, a part of the still elusive genetic variability in LOAD could be due to gene-gene interaction effects.